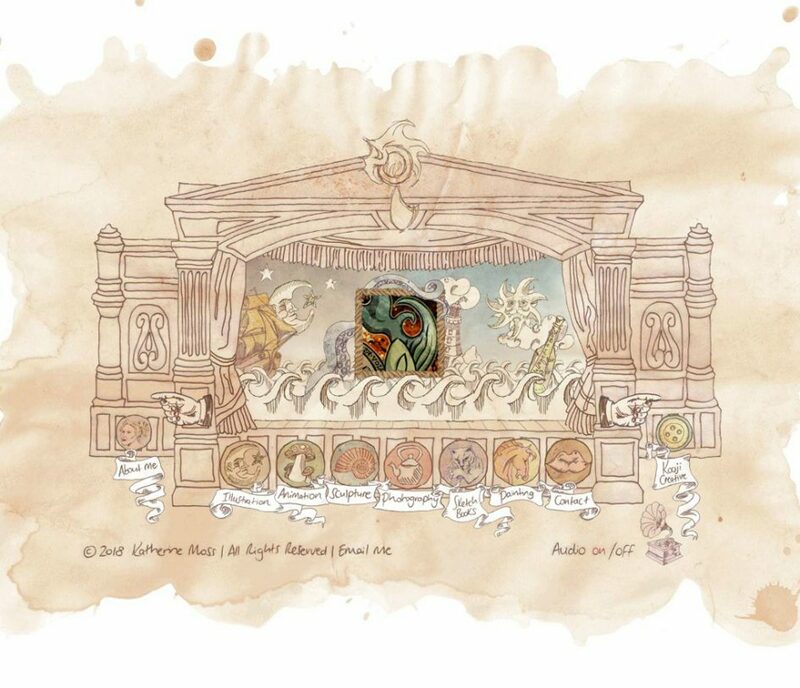 Katherine’s personal portfolio ‘Le Theatre de quantempus’ was used to demonstrate not only her ability in traditional art but also her expertise in digital design. 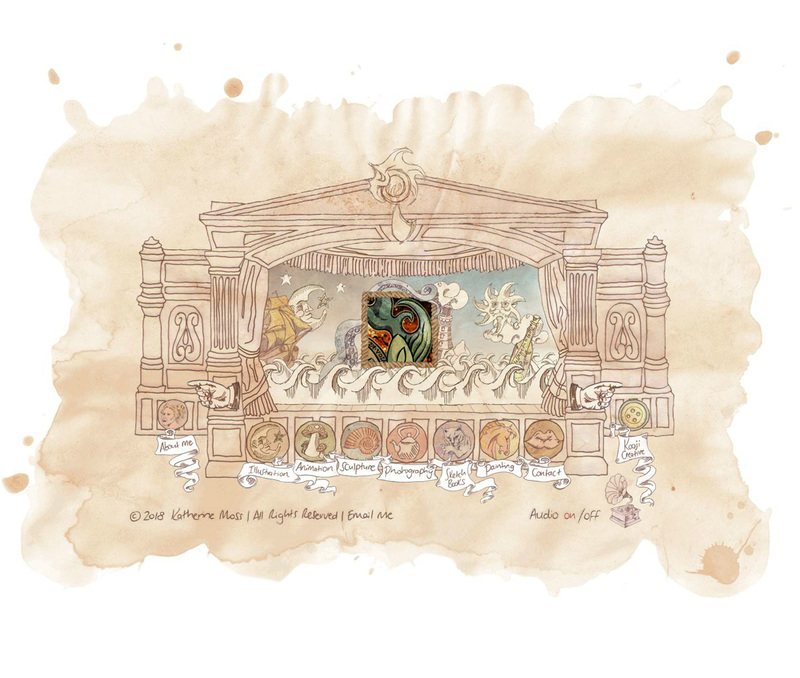 The toy theatre style interface housed all her creative collaborations, quirky experiments and a selection of her favourite sketch-books. Each section of the site was found in a different scene from the show, all of which were inspired by fantasy and fables. It was intended to be a memorable, unique and interactive experience which left visitors wanting to know more about it’s creator. This project is still a favourite of ours and one that we will always be incredibly proud of. Whilst the technology used to create it (Adobe Flash, using Actionscript 3) has now moved on the creativity and the work that went into making this will stand the test of time.